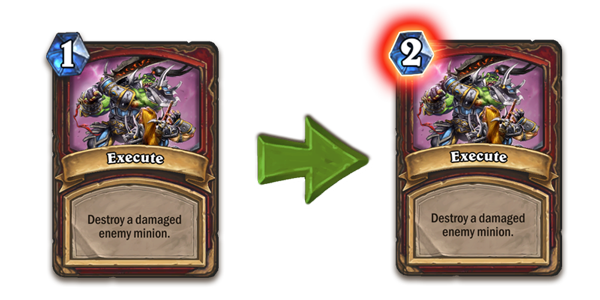 Reason Behind Nerf: Mass damage burst potential alongside the ability to work as early game removal. but chose not to because they are rotating out soon. to be included in Mid Range lists. to bridge the curve until you get to your Call of the Wild.
. Execute led to too much tempo gain and it is definitely one of the best removal cards in the game considering how easy it is for Warrior to deal damage to minions with so many AoE effect cards and spells that damage minions. 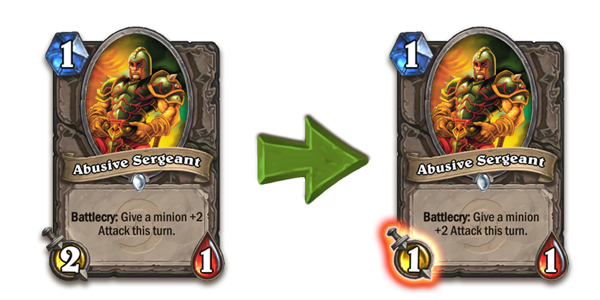 It’s a fine change that was expected for a long time and I’m glad they went ahead with nerfing the card. It helps them close the gap between power levels of future removals they have in mind. I do not expect to be that big of a deal for Control Warrior while Tempo style decks get slowed down slightly. warrior (I know most of these are bad ideas but coolness points never hurt anyone!). is one of the most oppressive aggressive cards in the game and it was originally a 1/1 that gave a minion +2 attack but now it is going back to its old form for the better. 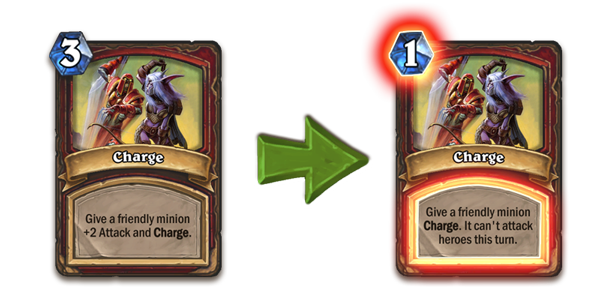 They wanted to change the card in such a way that just the battlecry would be what defines the card and not the body too. Abusive is a fine tempo play right now on any turn as a 2/1 but with the nerf taking place it won’t be the case. Reason Behind Nerf: Despite being developed as a fun card it sees frequent play in high levels tournaments and decides games. 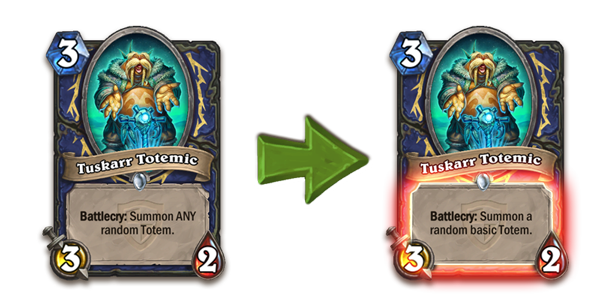 and Blizzard found the right nerf to balance out the card without making it unplayable. 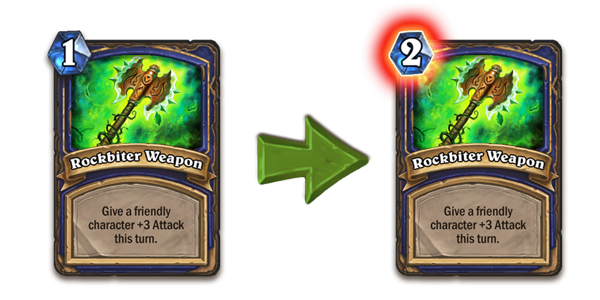 They added more randomness to the king of RNG himself, if Yogg kills or transforms himself after the patch hits the battlecry will stop. Previously even if he killed himself, the battlecry would complete and you would get the full effect out of it, but right now there is a lot more risk attached to it and while you may still continue to steal wins it won’t be just as consistent. 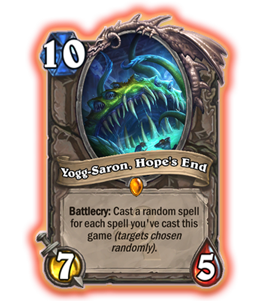 It does not completely eliminate Yogg’s viability but it does tone down the RNG swings a lot and I feel it was a fair change. It was a great surprise seeing the changes and it’s definitely a step in the right direction to keep the player base happy and the game fresh. 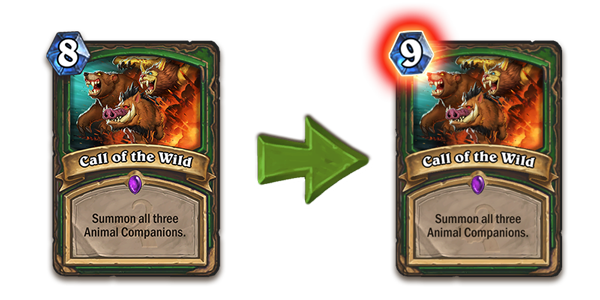 You will be getting the full dust value of the cards for a limited time so do not go around dusting these cards, or if you have been hesitant to craft cards like Yogg-Saron or Call of the Wild and have some spare dust left you can go ahead and make them to try them out for free and get the full dust value back when the patch hits! Hope you enjoyed the overview of the upcoming changes and let me know what you think about the nerfs in the comments below!